Pet Shop Boys have just unloaded their next batch of tour dates, which this time finally include a trek over to North America. Kicking things off in Montreal on August 29, the synth-pop trailblazers will begin a month-long journey across the continent, hitting up several U.S. cities, but only one more Canadian one: Vancouver. The dates come as the duo bask in their fair share of props for their latest album, Yes, which has become their highest-charting release since 1993's Very. Perhaps due to this sudden return to more successful waters, Pet Shop Boys have dubbed this string of dates the "Pandemonium" tour, which will reportedly feature a bit of a greatest-hits set and tracks off the new record. 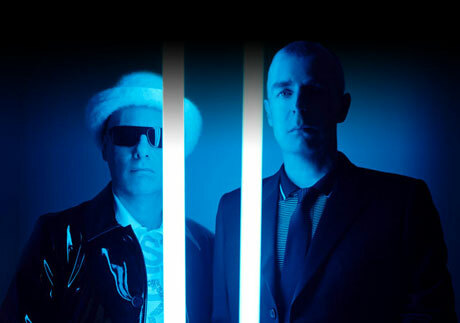 If you're feeling a bit rusty on your Pet Shop Boys' history, you may want to also click over here and check out our recent Timeline piece on the band.